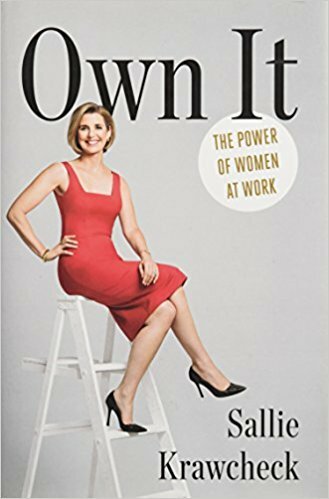 I read Own It after hearing Sallie Krawcheck interviewed on NPR. Besides describing her tumultuous career on Wall Street, she shares her reasons for starting her firm Ellevest, an investment platformed focused on women's needs. Women live longer, make less, and tend to be less risky (for good and for bad reasons). Yes, the book feels like marketing for Ellevest, but by the end I'd decided that was ok.
About my Fall Reading List: Some of these books are new for 2017. Others, published before 2017, may be even more important now than they were when first published... at least for me. You'll see a clear focus on the future of work, as well as some heavy hitting general management books. Some link to my earlier reviews, others I'll just share what I was looking for and what I found. If these sound good to you, here is a set from prior years. I'm trying something new and will be posting one a day. How long will this take? Depends on how fast I read! I started the list early in the summer, but still have a few in the hopper. Here is the full list if you can't wait. Disclaimers: Where I have received a free copy, I have also purchased at least one more. I am using affiliate links.